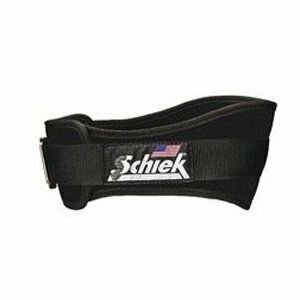 Schiek Weight lifting Belts Reviewed - Includes Videos! It’s time to step up to a weightlifting belt! The Schiek weight lifting belts are some of the best on the market right now, Schiek cater for a variety of lifters from powerlifting to CrossFit, there should be a belt that suits your needs. Before we get on to our detailed reviews of Schieks Top 3 lifting belts let’s take a quick look at our 3 belts in the comparison table. Wearing a belt might be considered cool and wearing a heavy duty leather lifting belt definitely gives off a few macho vibes, but there’s a lot more to a lifting belt than looks alone, a weightlifting belt will help to improve your lifting in many ways, here are the 3 most important benefits of wearing a belt. The most important benefit of wearing a belt is that it forces you to lift with your legs instead of your back, if you get hold of a decent weightlifting belt it should stop your spine from bending forwards, sideways and backward too much, this will help to reduce the chance of injury. A weight lifting belt will help to stabilize the spine by adding intra-abdominal pressure to your abs, thus an appropriate belt, worn correctly, is like extra abs, it will help contain and maximize intra-abdominal pressure so you can remain rigid while lifting heavy weights. Ok, so we know this thing will definitely help us avoid injury when lifting heavy, but will a belt help us lift heavier? 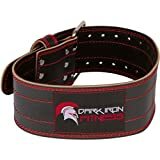 I haven’t been able to find a ton of research done on the topic but a few studies have proven a weightlifting belt will increase lifting loads by 10-20lb not a huge amount I know, but for some of us who have trouble getting past a sticking point, the wearing of a belt could be very useful. Not only does a belt help you lift heavier it will also increase the speed in which you lift, help increase muscle power, improve stamina, and muscle growth in your legs. There are basically three different types of weightlifting belt: cylinder, contoured and coned. Each belt is designed differently to suit different types of strength athletes. Cylinder Belt – Same width at every part, this belt has been designed to support the sides evenly with the same amount of material. Best suited to Powerlifters and strong men. Tapered Belt – A tapered belt is a much more versatile belt, and is favored by most Olympic lifters and recreational lifters. Why’s it more versatile? Because of the lesser width toward the abdomen, this lets the athlete be far more mobile whilst still providing much support. Coned – Designed to follow the natural curvature of the body, the coned belt is contoured on both sides but offers thick back and front support sections. The contoured designs are also popular amongst Crossfitters who need a lighter, less restrictive weight belt for a variety of exercises. Schiek’s double-pronged 10cm wide power belt is specifically designed for powerlifters, most lifters find a 10cm wide belt is perfect for squats and deadlifting, however, if you can’t get a good starting position in the deadlift with a 10cm belt then it might be worth investing in a belt that’s tapered at the front. Many beginners usually start out with a tapered belt. Powerlifting belts come in a variety of thicknesses as well, from 9mm to 13mm, Schiek’s belt is 9mm thick which is great if you need a belt to break in fast and are after a little more comfort, thicker 13mm belts may prove to be slightly more durable but any quality leather belt will last you a few decades anyway so no need to worry about durability. Double prong locking mechanism or levers, those are the two choices you get with any leather powerlifting belt, which one is best? With levers, you have the advantage of being able to very quickly remove and put on the weight belt. The major drawback with a lever belt is the simple fact you’re locked into one size, you’ll need a screwdriver to adjust the size, this takes a few minutes, which can prove very inconvenient if you like to have different tightnesses for squats and deadlifts. Not a deal killer but something to take into consideration. Schiek’s power belt utilizes the double-pronged locking mechanism, it’s a fairly fast system to adjust which provides a built-in redundancy over their single pronged counterparts. 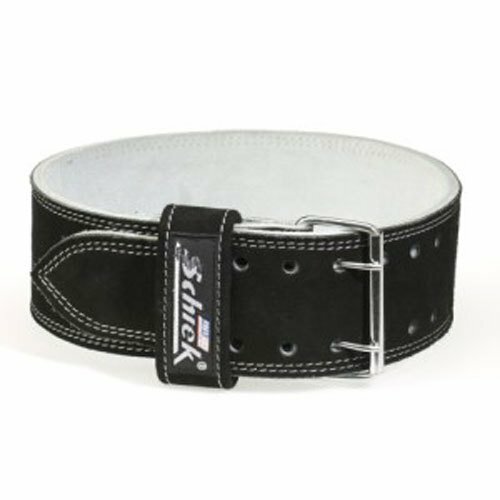 Schiek’s belt offers an extremely rigid cylinder design, which doesn’t bend easily under pressure, a fantastic belt for low bar squats. An impressive double stitched, double-pronged leather powerlifting belt, worth every penny from Schiek. 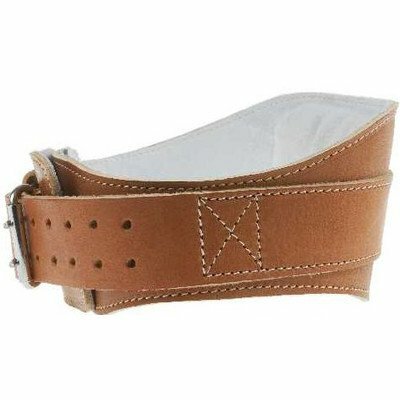 A cone-shaped lifting belt, unlike most belts the front portion of a coned belt is wide, almost as wide as the back support of the belt, 4.75″ for the back and 2.5″ around the sides. The contoured back offers great support because it curves with the spine and supports it in its natural shape. The skinnier sides hug the body and because this belt is made from nylon you will be able to move around with more ease than a heavier leather belt. What’s useful about the lighter nylon belts is that most of the time you can wear them between sets, their lightweight versatile design makes them great for WOD type workouts. Available in a variety of colors from pink to camo and sized from S-XL you shouldn’t have any trouble finding a belt to suit your taste and size. This belt seems to suit almost all lifters’ needs, the contoured shape fits the natural curve of the spine, so very similar to the 2004 this belt has been designed with comfort in mind. But don’t be fooled into thinking this is a training belt. This belt is also fairly rigid so it’s great for squats but what sets it apart from other leather belts is the comfort, because it’s contoured. it’s not going to gouge your ribs and hips when you squat. Boasting a double-pronged stainless steel buckle will prove to be a much more durable option than the velcro of the 2004, you can be sure you get the tightness you need and not have to worry about the velcro coming apart when squatting heavy. A wide 6″ back support doesn’t make this belt ideal for deadlifting but the extra width is useful for taller people who need the extra support. If you’re after a heavy duty version of the 2004 and need a belt for some heavy weight lifting then this excellent all-rounder from Schiek should make most lifters happy.